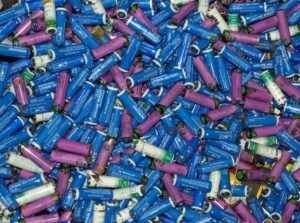 The Global Product Stewardship Council and GlobalPSC members have been actively facilitating the development of product stewardship for both batteries and paint to help transition from government-funded takeback schemes to industry-led producer responsibility. In addition to running pilot projects, Government members Sustainability Victoria (SV) have been engaging industry players to develop practical approaches to product stewardship for the products. In conjunction with SV and ABRI, the GlobalPSC facilitated initial stakeholder discussions, with an aim to developing a strategic plan to address domestic battery stewardship over the next three years. GlobalPSC Foundation members MS2 have also been incorporating GlobalPSC program expertise and data in developing the public policy and business case on handheld battery product stewardship for SV. 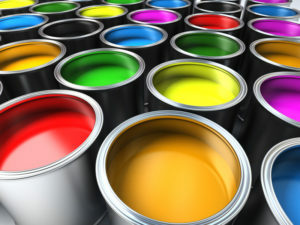 GlobalPSC member the Australian Paint Manufacturers’ Federation (APMF) is collaborating with SV on an industry-led pilot program to collect trade waste data and to examine the most efficient and environmentally sound ways to collect and treat waste paint. The GlobalPSC is incorporating trial results in helping SV develop the public policy and business case for paint stewardship. The GlobalPSC and several members have been appointed by the Australian Government to a Product Stewardship Advisory Group that provides independent advice to the government on products that could be considered for attention under the Product Stewardship Act. The SCEW work plan operates in conjunction with the Product Stewardship Advisory Group to explore opportunities for management of priority products.